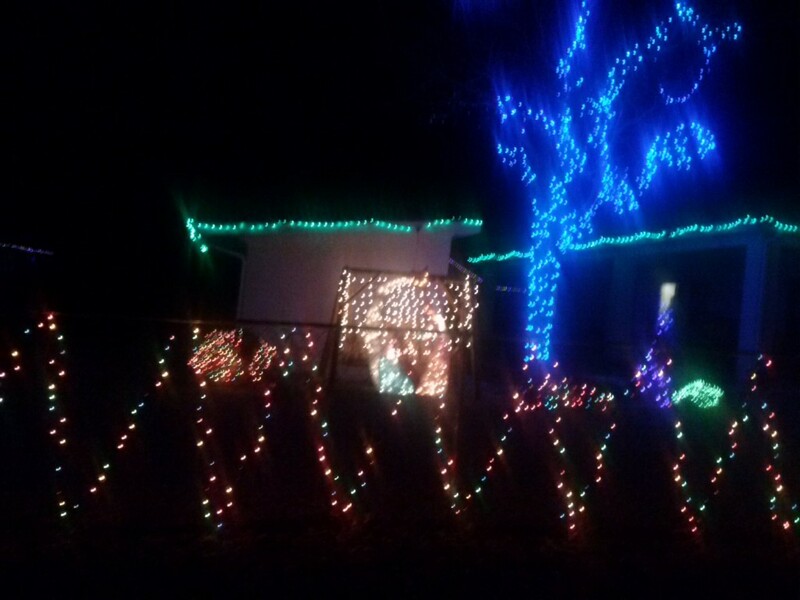 IRON COUNTY – The stars aren’t the only thing shining in Iron County during December. 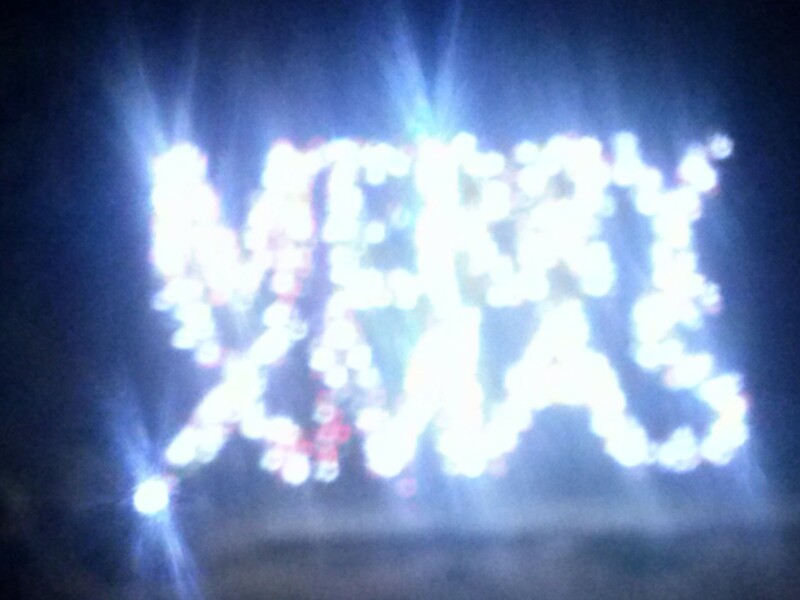 The holiday light displays throughout the community are dazzling to say the least. Cedar City is transformed into a winter wonderland – featuring a backyard stroll down Candy Cane Lane and an entire neighborhood temporarily transformed into Christmas Lane. Thanks to the help of Santa’s little helpers (aka expert local residents), we were able to find some of the best displays in the county. 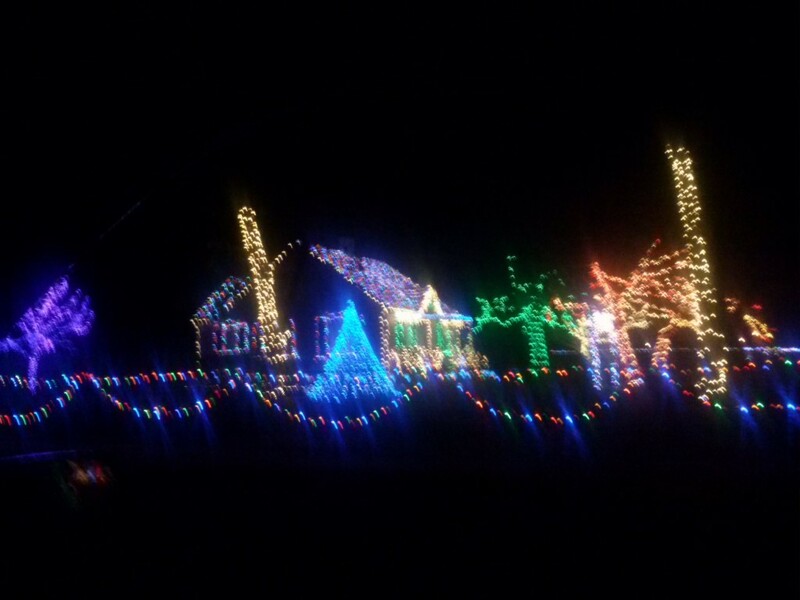 A cheerful display of colorful lights. 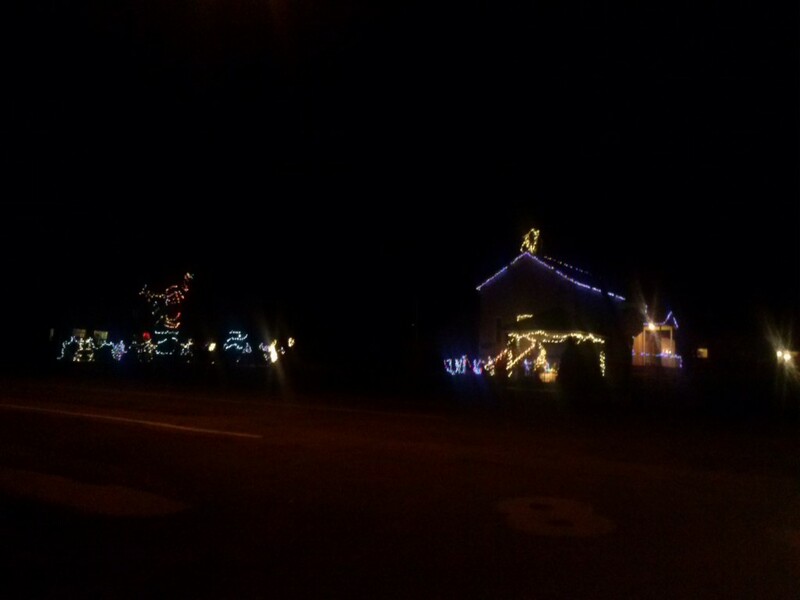 Bonus: The Grinch is in the front yard of an un-lit home across the street. 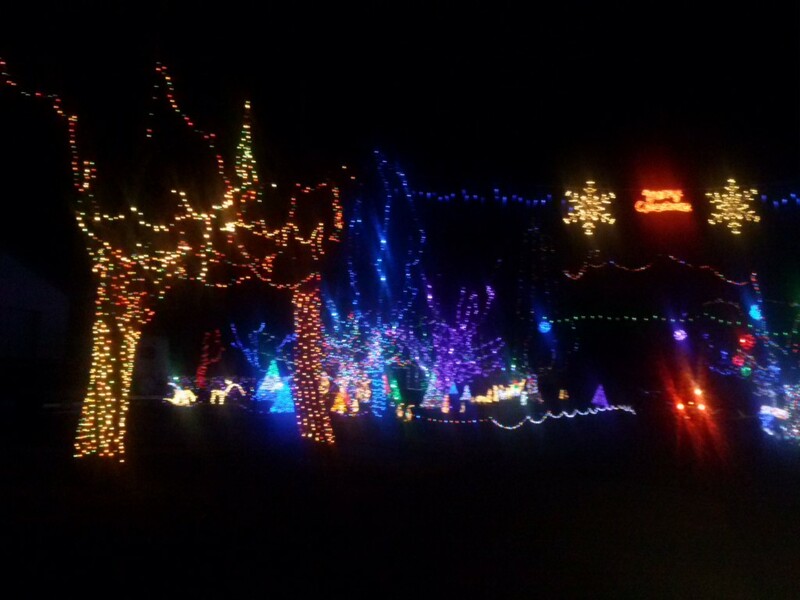 Dozens of milk jugs decorated with multicolored lights line the sidewalk and driveway of this home, making it a very unique display to visit. 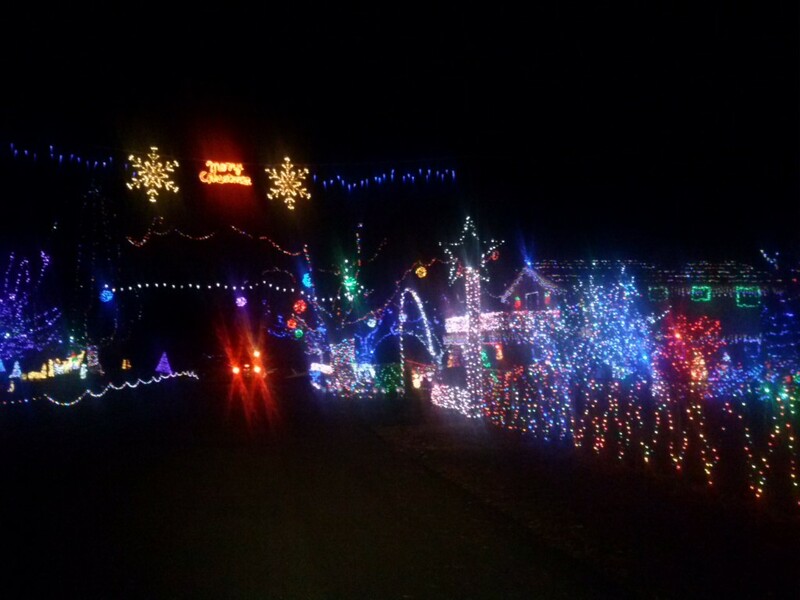 This home has a fun set-up including: moving lights on the garage, chiming music, and Santa with his reindeer. You think you’ve seen it all – until you visit this home and see a miniature ferris wheel as well as elves on a teetor totter in the front yard. This beautiful home has several reindeer scattered throughout the yard and several nicely lit pine trees. Realistic icicle lights, a snow globe, and lights that change color make this a fun sight to see. 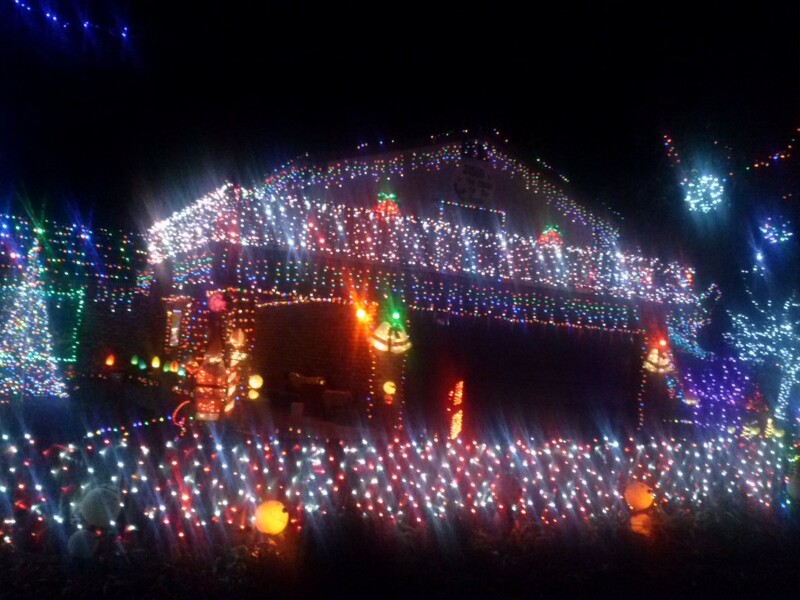 Tune in your radio to 96.9 to view a dancing light display synchronized to the music. This home is decked out in the front yard AND the back yard! 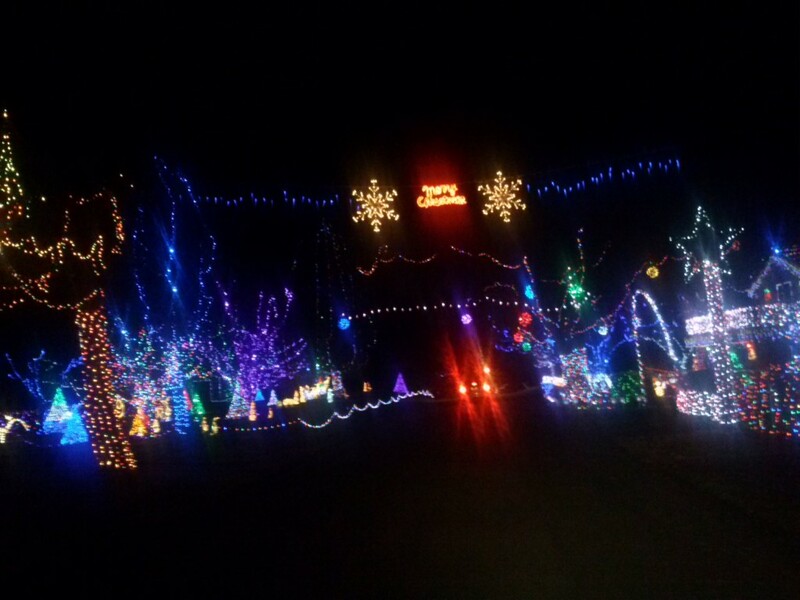 Visitors are welcome to park their car and take a walk down “Candy Cane Lane.” A donation box is at the end of the walk, where all proceeds go to Make-A-Wish Foundation. 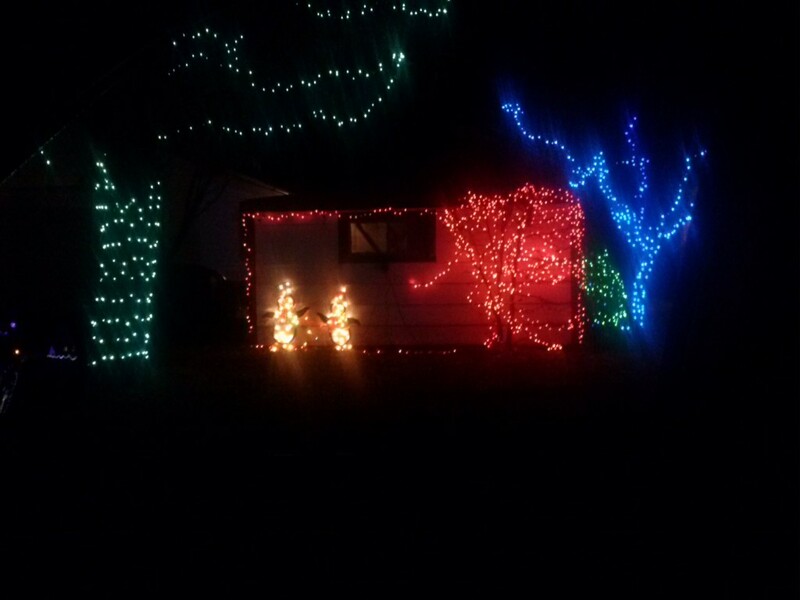 A darling display of lights – including vintage cut-outs of Santa and Mrs. Claus, reindeer, and a nativity throughout the yard. 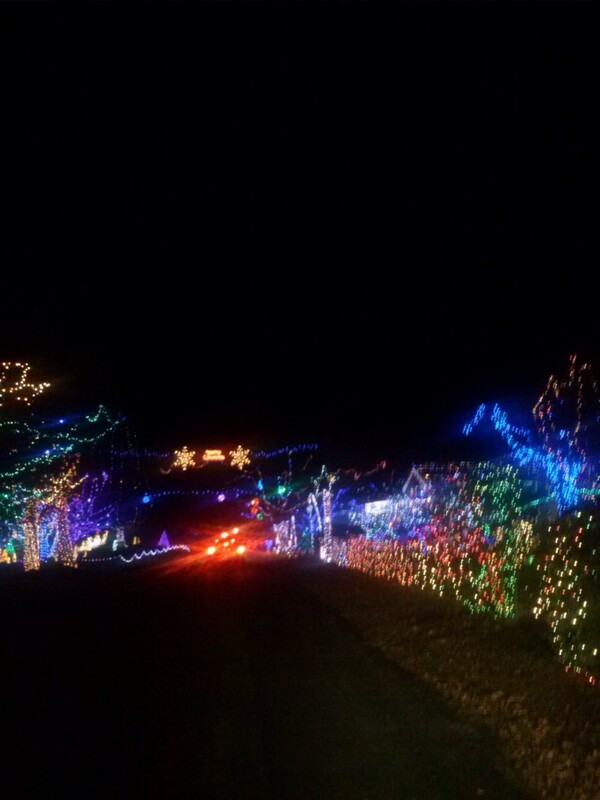 This entire neighborhood is themed ‘Twas the Night Before Christmas, as each home features a different page of the story. Be sure to spot the Star Wars characters, Olaf, Santa’s clothes hanging on a clothes line, a penguin slide, Santa playing football, snowman cheerleaders, and several other cheerful sights all throughout Christmas Lane. 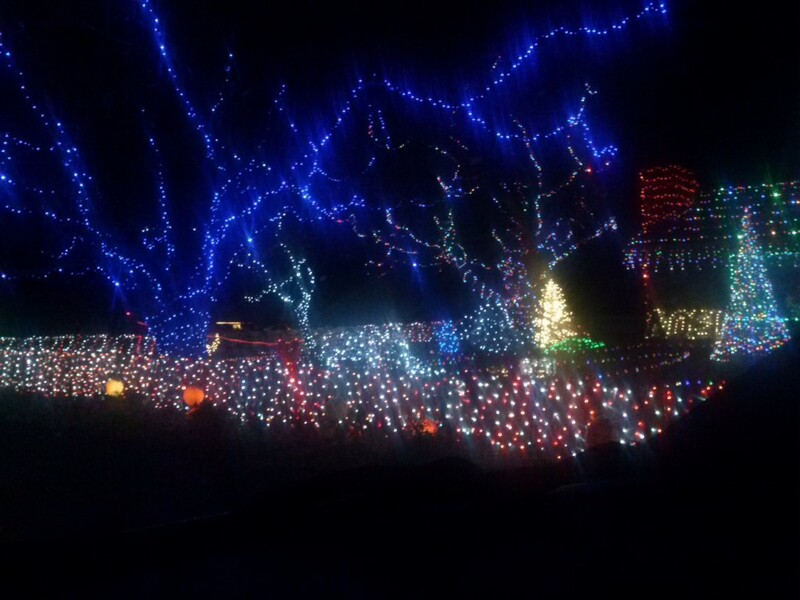 Although it’s not in Iron County, this display in Toquerville is incredible – and certainly worth the drive! Let us know your favorites – including ones we may have missed, in the comments below. 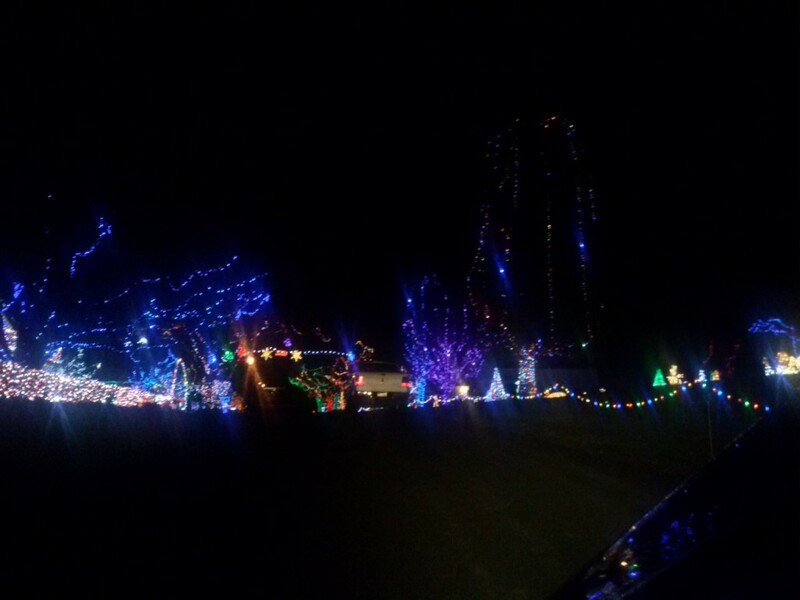 There’s a house out here in Buena Vista with a ton of inflatables and awesome lights, it’s on 500 N past 4275 W.